The original Alexa Chung style illustration is still available as a signed print in my Etsy shop, right here. I’m back from a sun-filled winter break on Fuerteventura, where I met many lovely people. Among them where Margot & Youna, two real Parisian girls. They were só stylish and cool that I just had to draw them! I know this is already my 3rd Parisian-themed illustration, but hey: pourquoi pas? 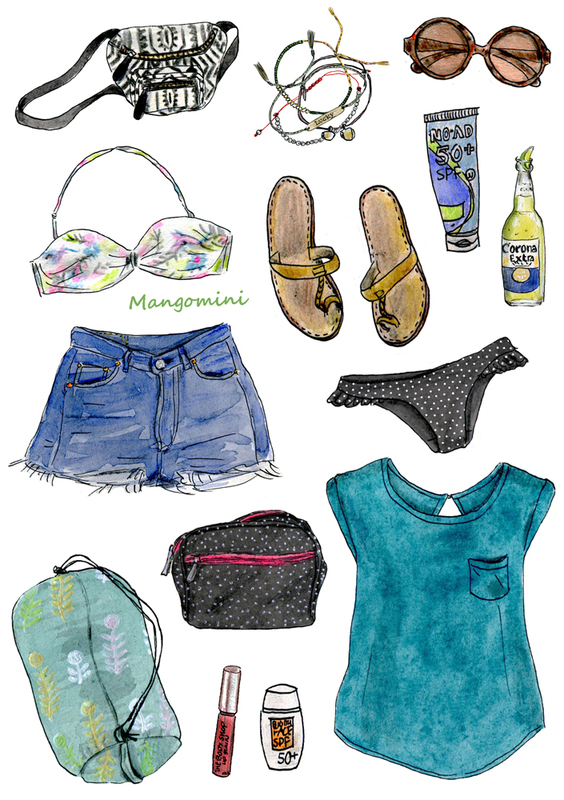 Author MangominiPosted on August 9, 2015 August 9, 2015 Categories Illustrations, What I woreTags 2015, bikini, boho, camping, Cindy Mangomini, corona, denim cut offs, denim shorts, Dutch, fashion, fashion blogger, fashion drawing, fashion illustration, hand drawn, hema, illustration, Levis 501, Mango top, Mangomini, ootd, Sacha sunglasses, schiermonnikoog, summer, summer style, vintage levi'sLeave a comment on Camping, not Glamping! Sorry for the lack of “what I wore” updates in the last weeks. I’ve been having some health problems and didn’t have the energy to do a lot of work. Hopefully I’ll be able to start again soon. In the meantime, here’s a sneak preview of a new project I’m working on. 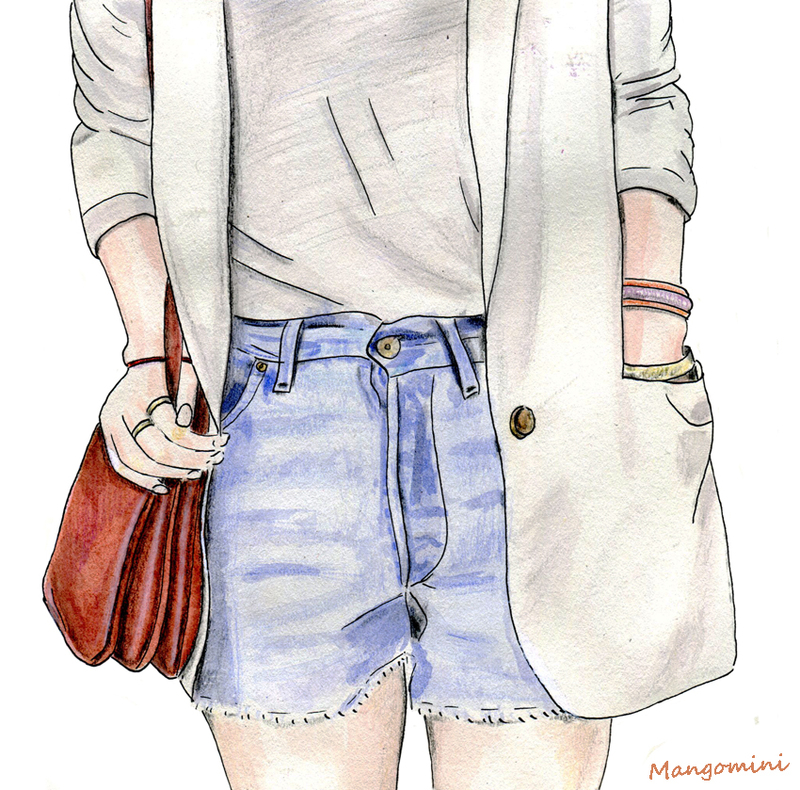 Author MangominiPosted on June 4, 2014 Categories IllustrationsTags Cindy Mangomini, denim, denim cut offs, drawing, fashion, fashion illustration, hipster, illustration, Mangomini, streetstyle, style, What I wore, white blazer4 Comments on Sneak Preview! Summer is coming! Today I wore shorts with (very pale) bare legs for the first time this year and I got in a very summery mood. Here is my summer wish-list. 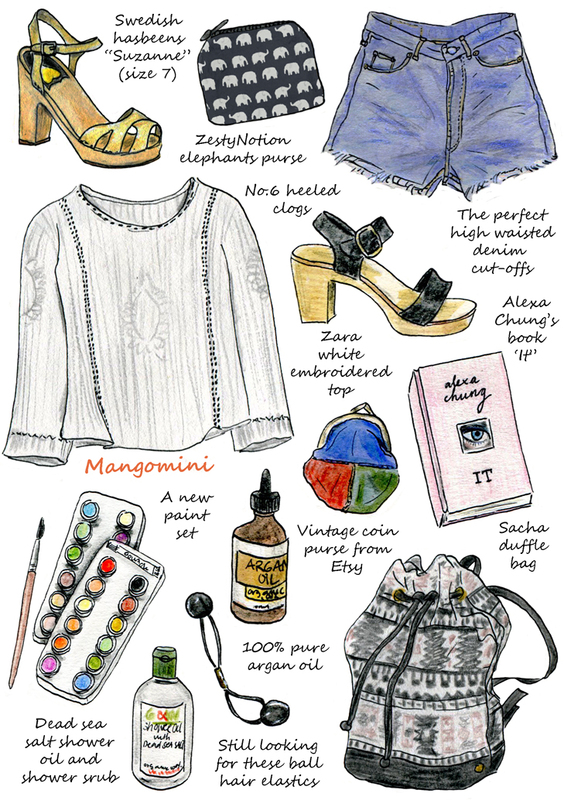 Author MangominiPosted on April 24, 2014 Categories IllustrationsTags Alexa Chung book, argan oil, Cindy Mangomini, cute, denim cut offs, drawing, duffle bag, Etsy, fashion, fashion illustration, high waist, illustration, It, Mangomini, No.6 clogs, paint, style, summer, summer wishlist, Suzanne, Swedish Hasbeens, wishlist, Zara top2 Comments on My wishlist for summer!